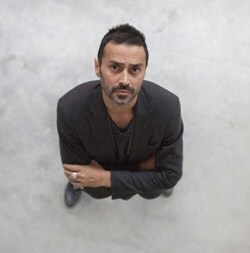 "Since 1966, I’ve responded to those who call me Fabio Novembre. Since 1992, I’ve responded to those who also call me “architect”. I cut out spaces in the vacuum by blowing air bubbles, and I make gifts of sharpened pins so as to insure I never put on airs. My lungs are imbued with the scent of places that I’ve breathed, and when I hyperventilate it’s only so I can remain in apnea for awhile. As though I were pollen, I let myself go with the wind, convinced I’m able to seduce everything that surrounds me. I want to breathe till I choke. I want to love till I die."